Royal Professional ''Liberty'' model 4 Bedroom, 3 Bathroom, 2 Car Garage Home with Den now AVAILABLE! This Solid Built, Poured Concrete constructed home is built like a Fortress. Withstood 4 Hurricane with NO DAMAGE. LARGE home has many great features such as Diagonal Tile Floors throughout the Main Living Areas, Open Concept Kitchen with Wood Cabinets and Granite Counter tops overlooking the Large Family Room. Homes 4th bedroom, located in the rear of the home is easily considered an In-Law Suite with adjacent bathroom and outside access. With almost 2800 Square Feet Under air you can imagine that you have PLENTY of room for privacy. 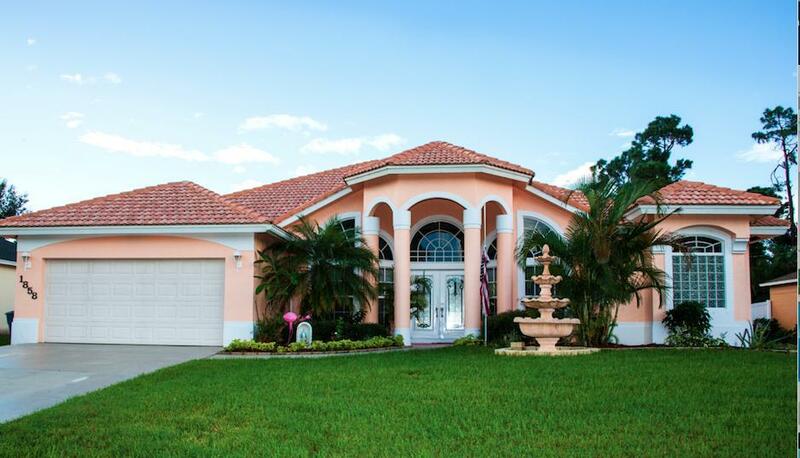 Call today for your private tour of this well maintained home just minutes form the I-95 and Florida Turnpike.